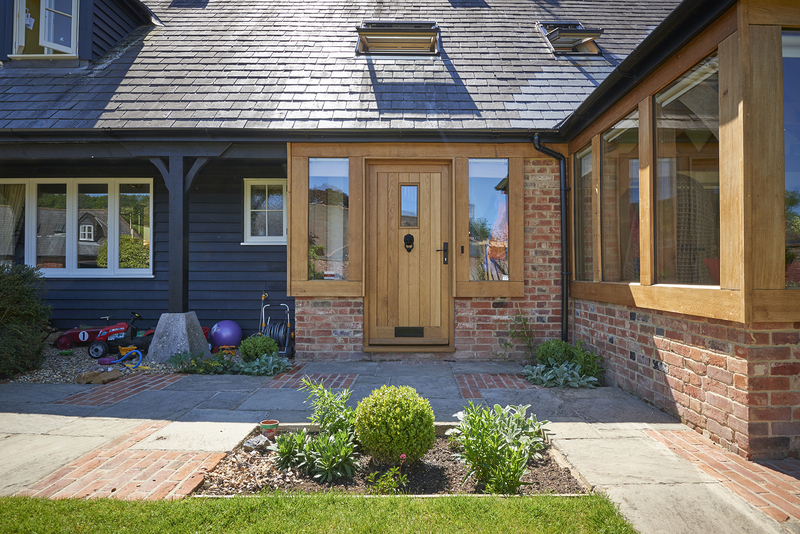 This oak framed garden room extension in rural Wiltshire was completed in 2017. 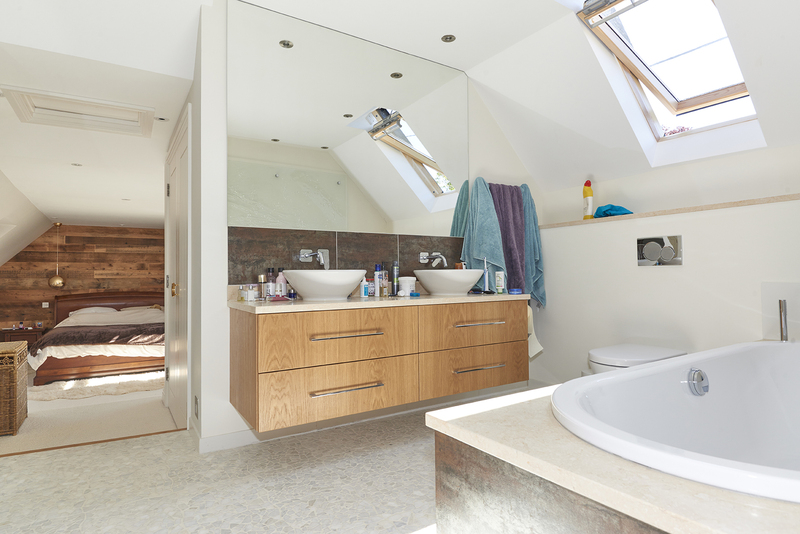 We achieved planning permission in 2016 to build a garden room extension, and for a loft conversion. 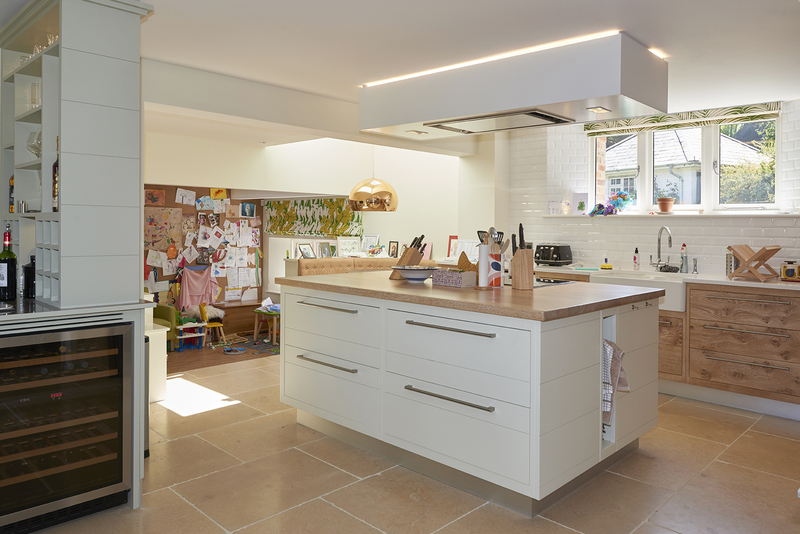 There were also some internal alterations, including moving walls to create a family space off the new open plan kitchen/dining area. We replaced and created some new windows as well. 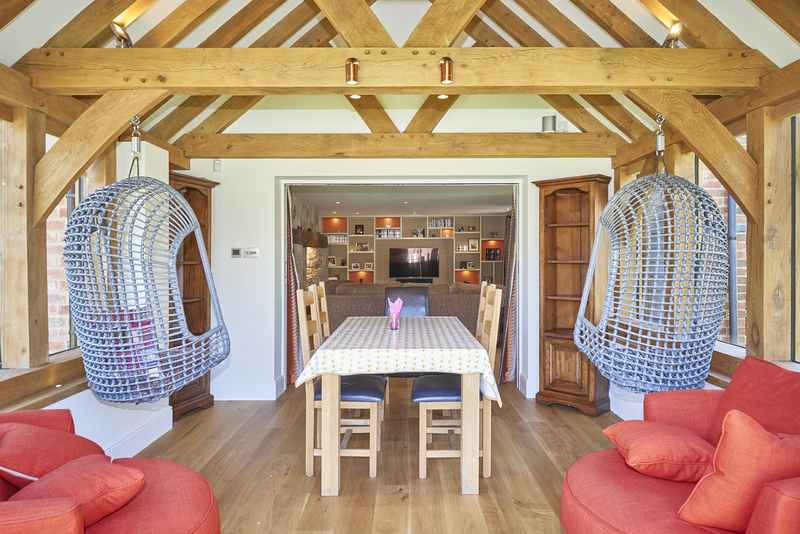 The new garden room is a versatile space, with room for a family dining area, as well as casual seating. 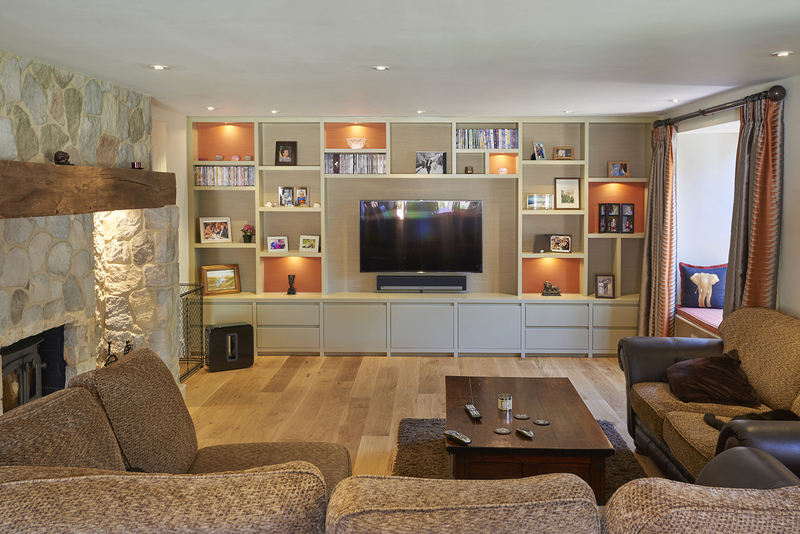 It also opens up to the living room, creating a walk through to the garden. The glass on all sides brings plenty of light in as well. 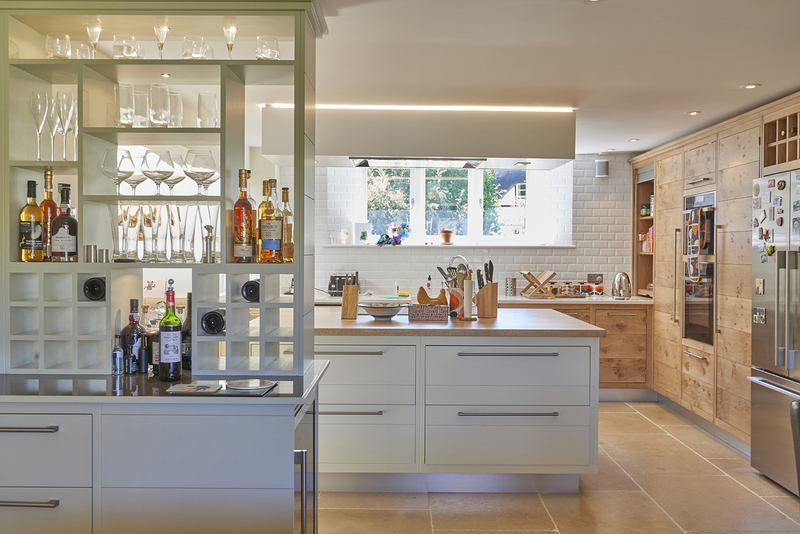 Our clients wanted to create an alpine feel throughout their house. 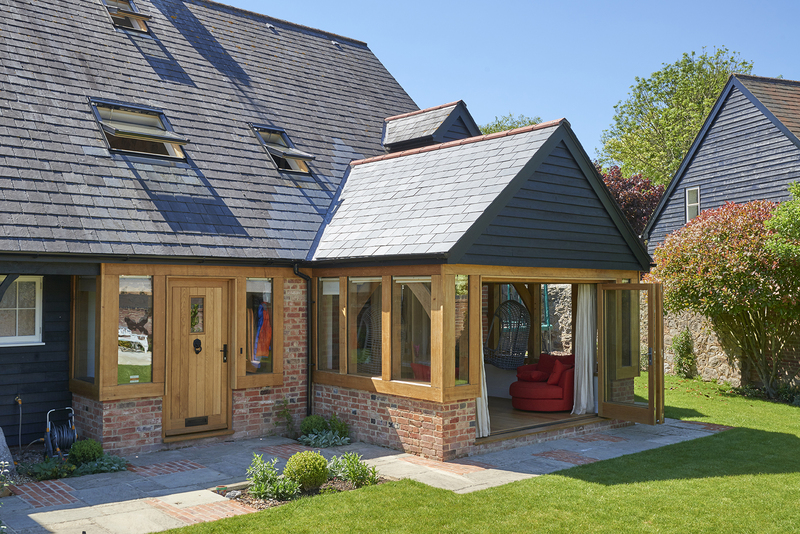 Along with the oak framed garden room, wood has been used for the floors, as well as the kitchen units and worktop. The rest of the interiors combine warm tones of brown, copper, and grey. 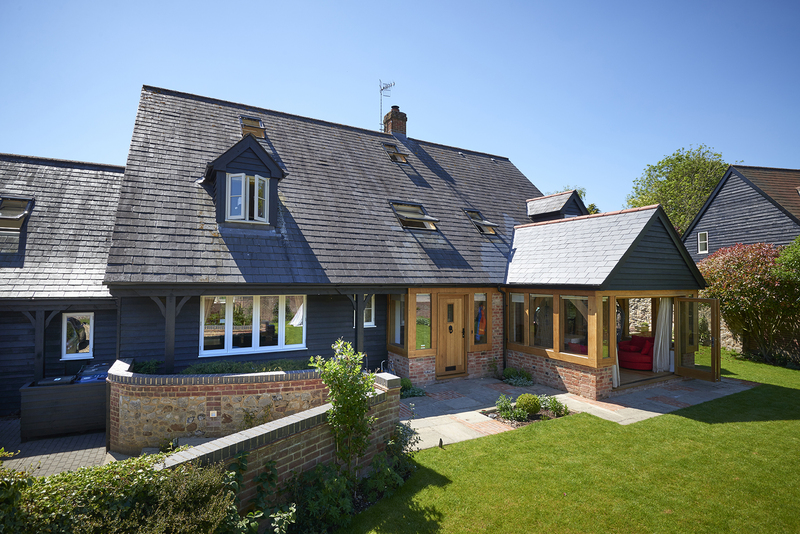 Contact us for friendly advice on your project, and to see what’s possible in your home.